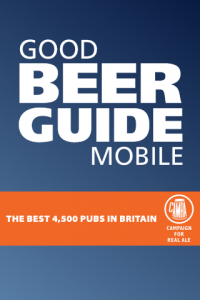 The CAMRA Good Beer Guide application for iPhone and iPod Touch has now been approved by Apple and is available for download on the App Store. There is a free 7 seven day trial after which you can purchase a 1 year subscription for £9.99 from within the application charged to your iPhone account. Unlike other e-books this is a completely interactive application that lets you find pubs from the Good Beer Guide based around a location, and includes all information from the book including complete reviews and beer tasting notes as well as maps showing the location of the pubs.